True Ames Slick longboard fin in sizes 8.5" to 10"
The True Ames “Slick” longboard Fin. 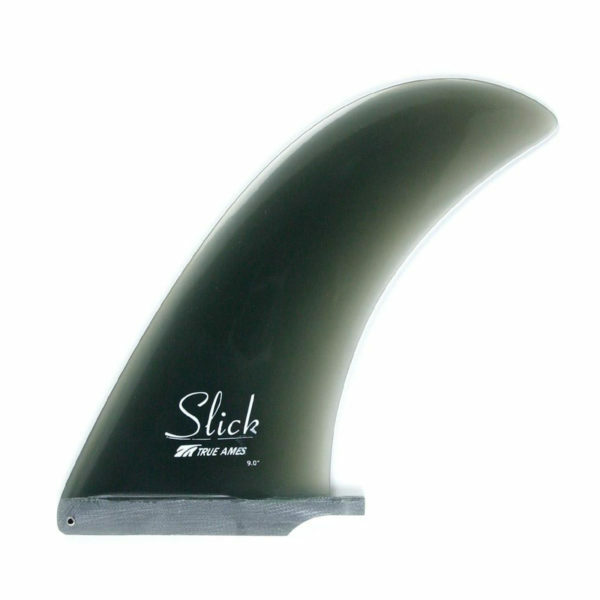 A full area design with more rake than our Heritage fin, giving you long, smooth, flowing arcs. Chris Slickenmeyer is currently living on the South Shore of Oahu and actively working on new fin concepts for a variety of boards. For now, go with the Slick for a full area template that will give you amazing carvability.